HDU will last longer. The cedar panel will have the natural grain to the blasted background. The HDU we can do a simulated wood grain or a pebble texture blast. The Sporting Clays sign is blasted cedar with an unpainted background. 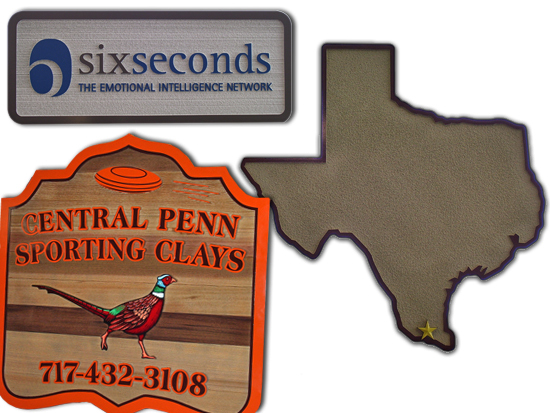 The Six Seconds sign is grain blasted HDU. The Texas sign is pebble blasted.